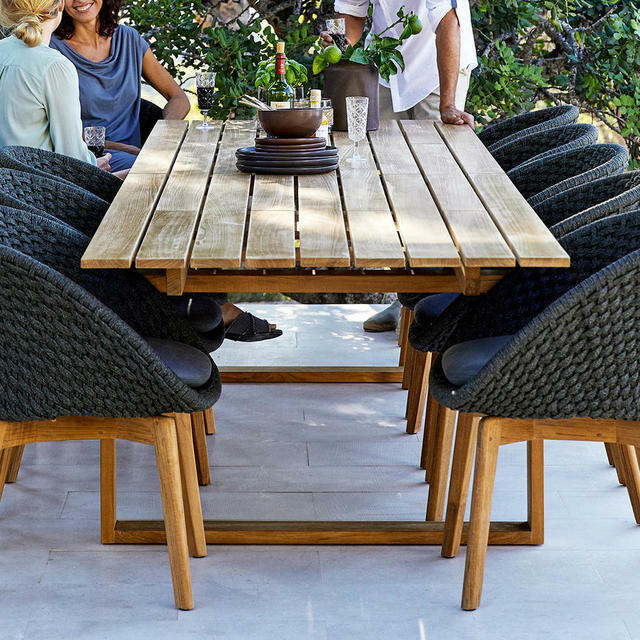 Delicious timeless teak teamed with textured chairs is an outdoor combination made in heaven. The perfect description for a timeless, elegant table, the Endless rectangular tables are the perfect accompaniment to a variety of chairs in the Cane-line collection. 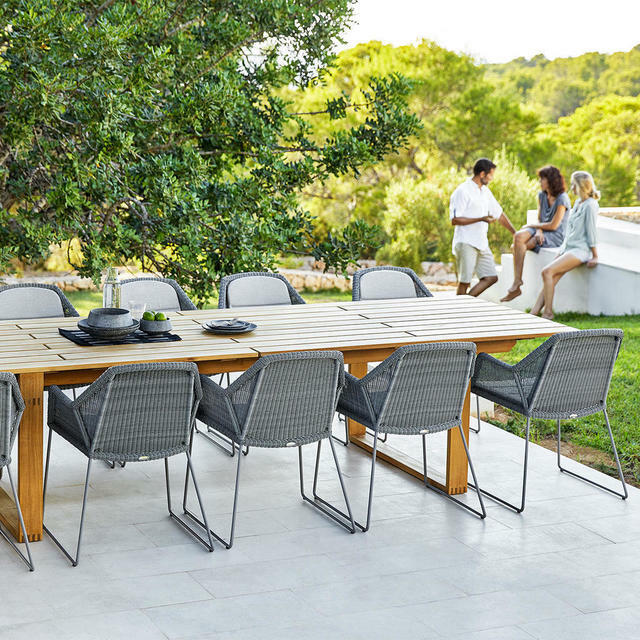 240x100cm seats up to 8 people. 332x100cm seats up to 10 people. 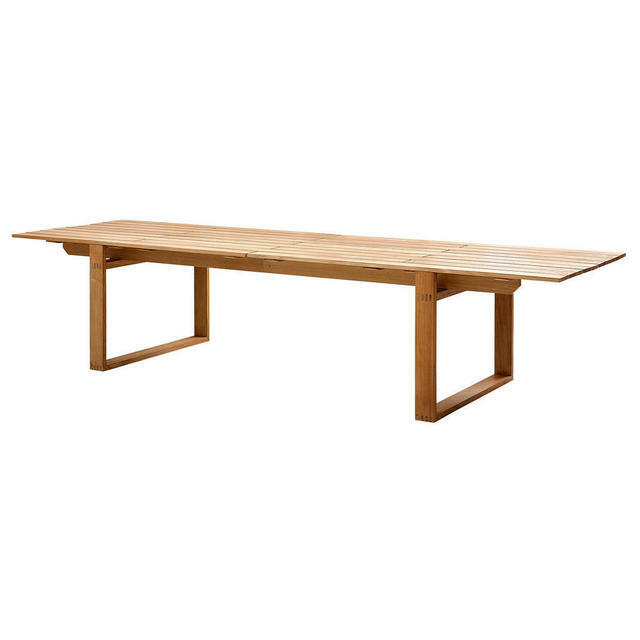 The shape of the frame of the table the large table allows for a person to sit comfortably at each carver end as there are no legs to get in the way. 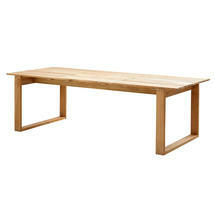 With a slatted table top to give the feeling of light and air. 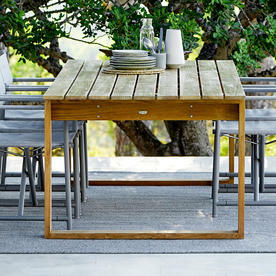 If a smaller round teak table is required, Endless circular tables are also available, see here. 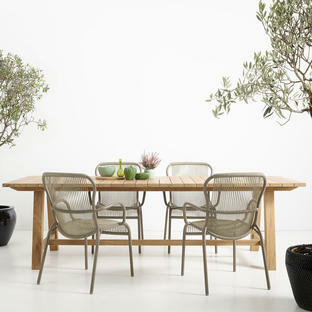 Suggested chairs included Peacock Soft Rope chair, Moments Dining chair or classic weave Hampstead dining chair. If you require any further information regarding this collection or any of the other Cane-line collection, please do not hesitate to contact us on 0345 6052505. 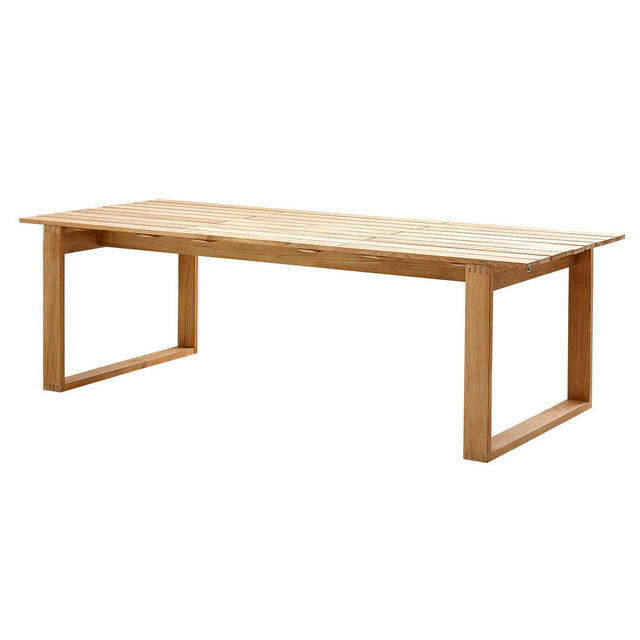 Made from teak, with slatted top. To seat 8 people dependent on style of chair. To seat 10 people dependent on style of chair. 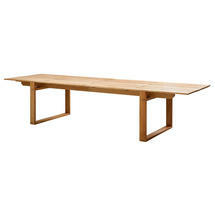 There are no parasol holes in these tables. 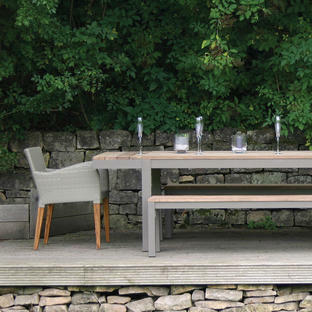 Left to age naturally outside by being exposed to light, air and rain, teak will gradually change to a soft, silver-grey as the pigments in the surface layer of the wood slowly start to fade away. 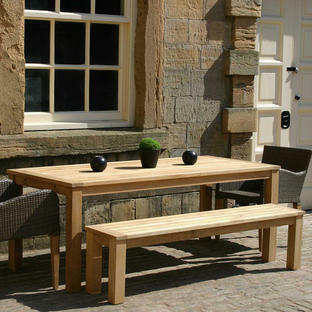 Teak is easy to clean and maintained, see here for further information.